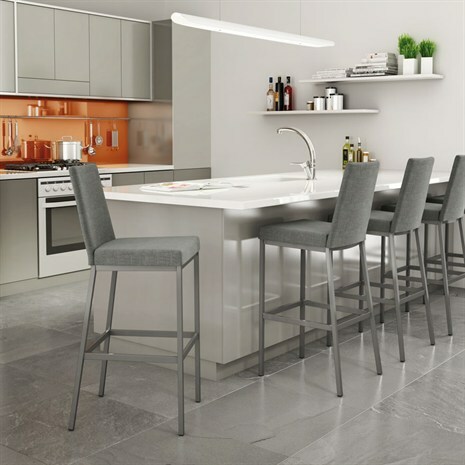 Alfa Barstools has a great selection of upholstered back rest barstools in just about every size and design you can imagine. We offer multiple colors and styles. 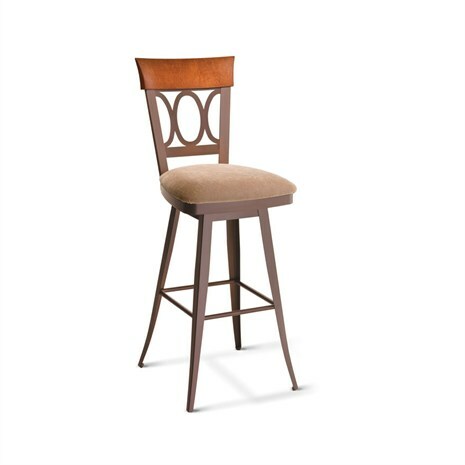 Whether you’re after something modern, traditional, country, Victorian barstools, or have some other design in mind, we sell several of the top brand names in barstools as well as our own line of private label and custom bar and counter stools. 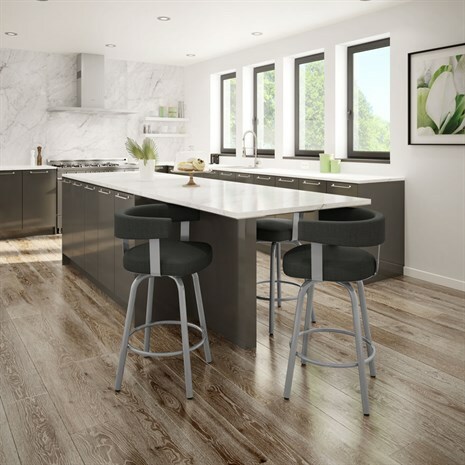 When you choose us, you can either make an appointment to visit with a designer in our show room or you can place your order quickly and easily here on our website. 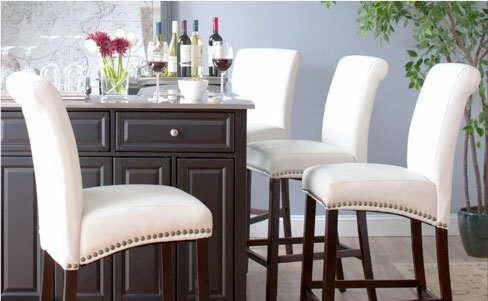 Either way, you’ll be delighted with our selection, our quality, and our affordability. 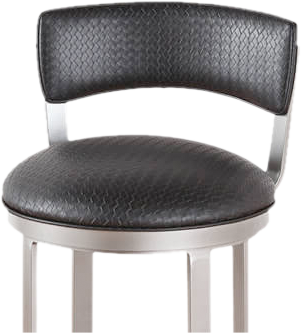 Buying barstools from Alfa Barstools can save you up to 50% off retail pricing. Upholstery will provide you with comfort. That’s a major pro. 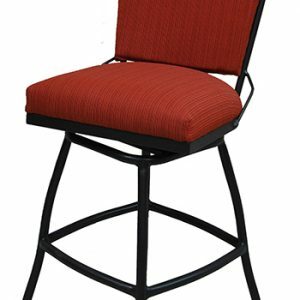 Having a back and / or seat with padding and upholstery will make the seating option comfortable and it can be a great way to match your bar or counter seating in with your color theme. 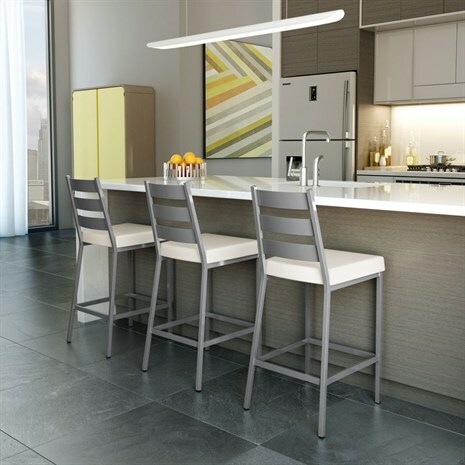 Also on the pro side, there are endless choices to help you add color into the room you’re decorating. 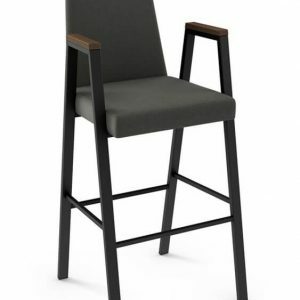 On the minus side, upholstered barstools require a bit more effort in the maintenance and upkeep as opposed to a wooden, metal, steel, or acrylic barstool without fabric of any sort. 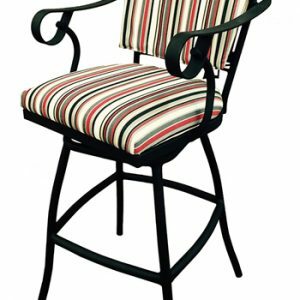 Instead of a quick wipe with mild soap and water or furniture polish, you’ll want to periodically have your barstool’s fabric cleaned. Regular dusting and vacuuming as well as cleaning up any spills promptly will help keep it looking good between cleanings. And there’s the option of re-covering when the upholstery begins to look worn or when you’ve decided on a new color scheme. 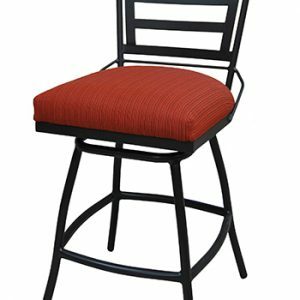 The ability to reupholster your barstools is considered a pro by many who may like the style and find that their sturdy well-made barstools are still in great condition but they want to make a color change. 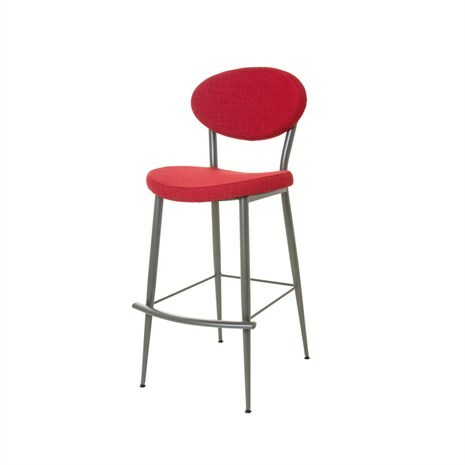 Quality and affordable barstools with upholstered backs are available from us here at Alfa Barstools in multiple styles and sizes. 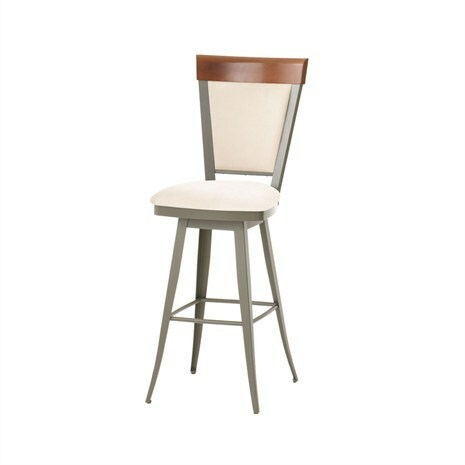 We have been in the barstool business for over 25 years and have a great reputation for quality and customer service. Feel free to browse our site, check out our great pricing, and contact us if you have any questions at all. 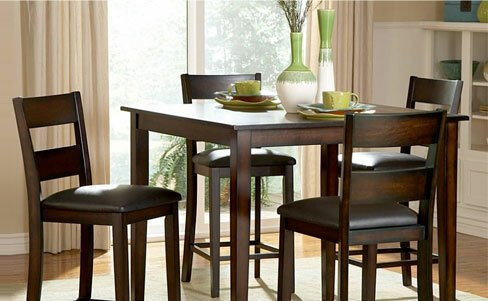 We have narrow seating, extra tall seating, dinette sets, and replacement parts. 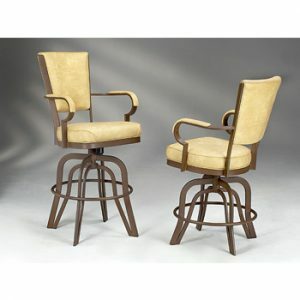 We can also help with reupholstering and custom laser back options to help you get the exact stool you’re looking for. 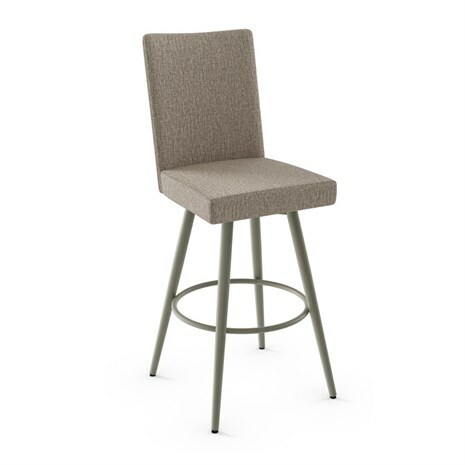 Whether it’s a high back upholstered barstool, a low back upholstered stool, a lattice back, open back, oval back, or backless barstool you’re looking for, we hope you’ll see what we have to offer.